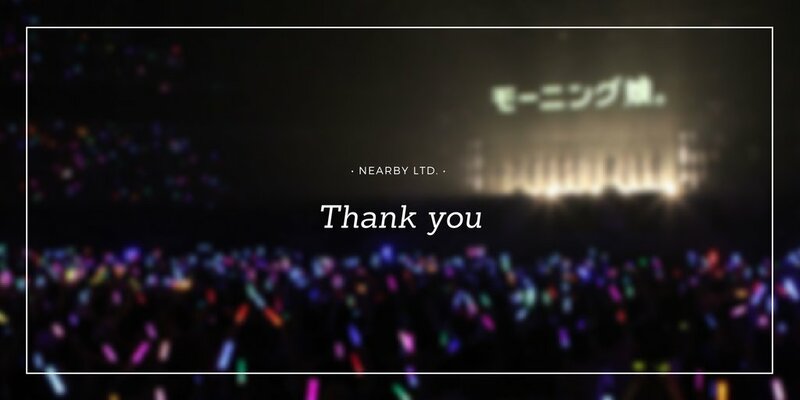 Currently, the Nearby Team is in contact with sponsors, who are interested in bringing world renowned all-girl J-Pop group, Morning Musume '18, for a US concert. Click here to learn more about Morning Musume '18, and be sure to visit our social media pages to stay updated on this project. 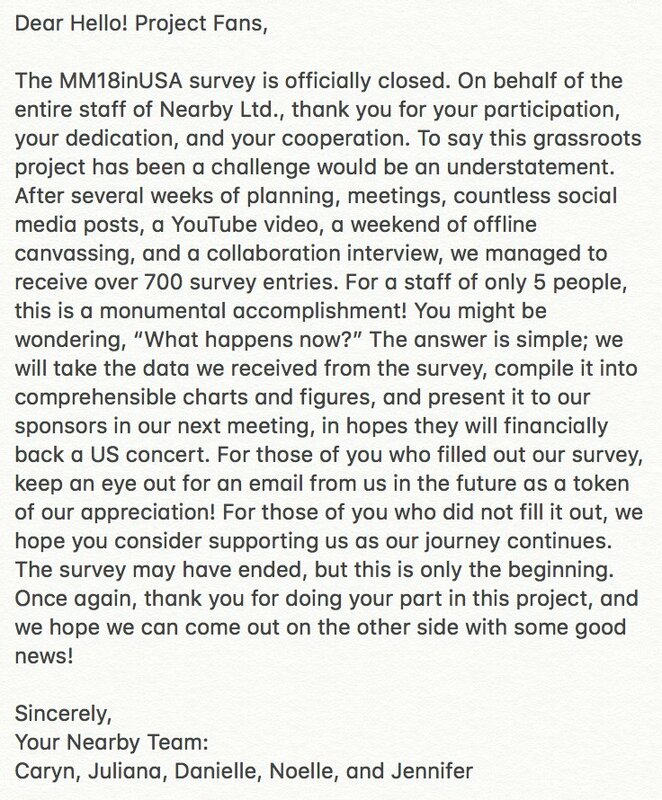 A message from Nearby Ltd. regarding the #MM18inUSA campaign.